A How-To Guide for Throwing a Pawesome Party for Your Pooch! It could be a birthday, adoption day celebration or obedience school graduation; in any case, your prized pooch’s big day is approaching. 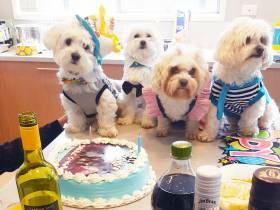 What better way to celebrate than by throwing a DIY doggy party? Just like a kid’s birthday, there’s bound to be excitement, treats, cake, games and much planning to be done. Fortunately, Pets Love Zone is here to take some of the guess work out of the big day for you and help you along your way to hosting one of the most sensational soirees known to man’s best friend. First and foremost are three words: location! location! location! To ensure you make the most of your big day, choose your venue wisely. It needs to be a fully enclosed area (to avoid escapees!) but one with plenty of room for games and hooning. 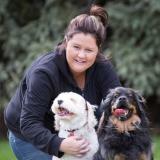 If your own private backyard is not suitable, think about a nearby dog-friendly park or venue. Once you’ve settled on your special spot, the preparations can begin. This means you can get stuck on the guest list and invitations.